I first had this a few weeks back when I was out with some friends at Imperial No. Nine. I think it was cocktail #4 (that's how they name them) and it was Root mixed with Port (likely Ruby Port) mixed with chocolate bitters. I had seen Root in my local liqueur store a week prior, but was too loaded up already to pick it up. Well, the cocktail at Imperial was amazing, so it had to be done. Like any new spirit I find, I try it straight first in order to get a sense of what it is. Like what they mention in the video, this isn't some root beer flavored whatever, but it's all the essences of root beer with a kind of adult sensibility about it. Sweet, but not too sweet. Spicy. Like gingerbread or galangal but with sassafras. The ginger essences made me want to mix it with ginger ale, and so I did. 2 jigger shots of Root with 6 oz. of ginger ale. 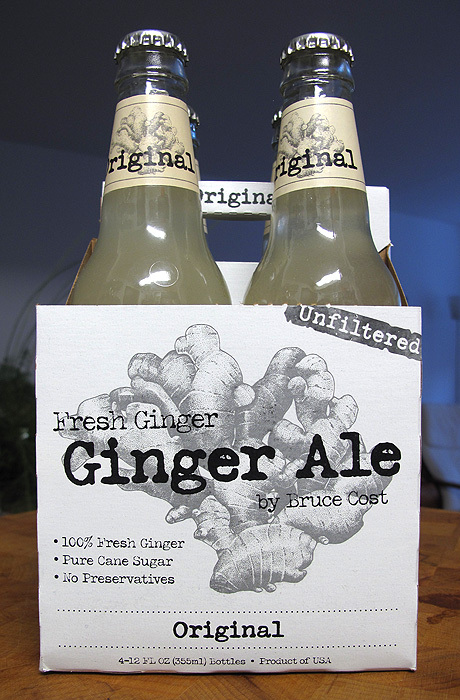 NO, not Schweppes or Canada Dry - real ginger ale, like the unfiltered variety from Bruce Cost. Cloudy, spicy, with chunks of ginger in each bottle, this is the best ginger ale around. I wanted some of those Ginger chunks to make it in the drink, so I shook the ginger ale gently to stir it up off the bottom. As long as the shaking isn't vigorous, the bottle won't explode on opening. I ended up with a sparkling, spicy, amazing cocktail that tastes like the holidays. It really is Christmas in a glass. 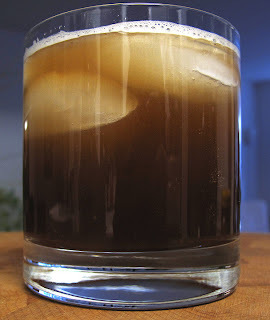 If you can't find Root, the next best thing is the same recipe with Pimm's No. 1, but look hard because it's absolutely amazing with Root!